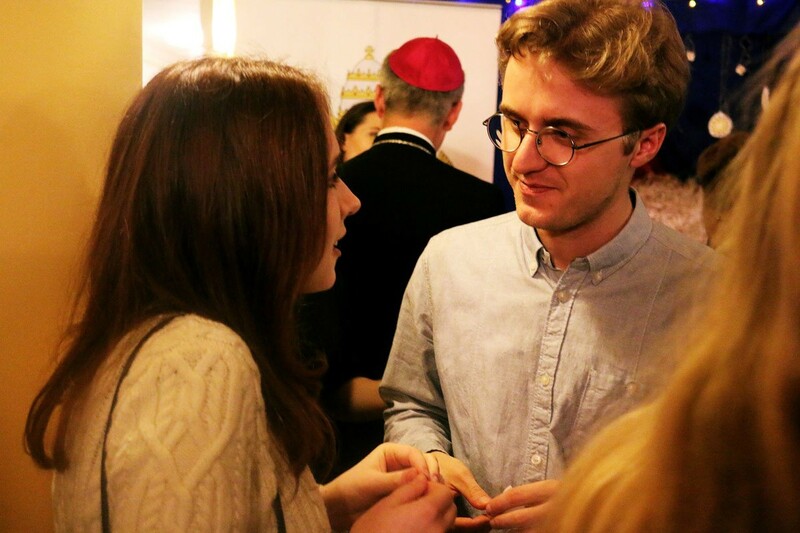 Christmas meetings at the John Paul II Foundation Home in Lublin are a beautiful tradition which every year gathers alumni, scholarship recipients and guests of the Foundation. This year’s Christmas Wafer meeting (“Opłatek”) was held on December 15th in the afternoon. 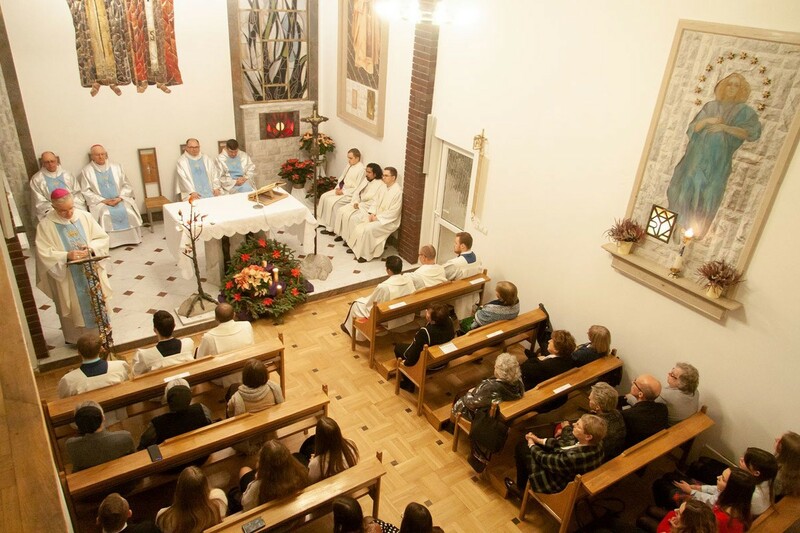 The meeting began with a Mass celebrated by Bishop Wiesław Lechowicz, chairman of the Committee for Polonia and Poles Abroad. 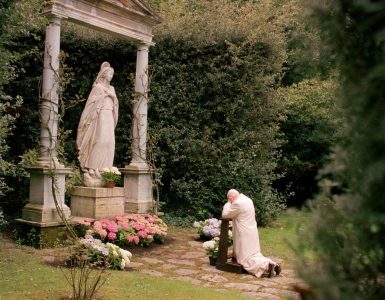 The Mass was concelebrated by Abp. Stanisław Budzik, archbishop of Lublin; Great Chancellor of the Catholic University of Lublin (KUL) Prof. Fr. 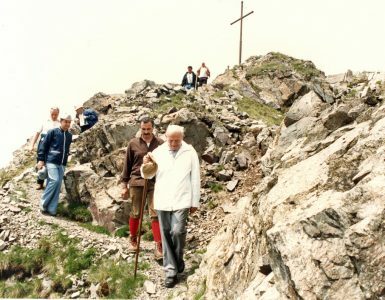 Andrzej Kiciński, Vice-Rector for Student Affairs; Fr. Jan Strzałka Director of the Foundation’s Home; Fr. 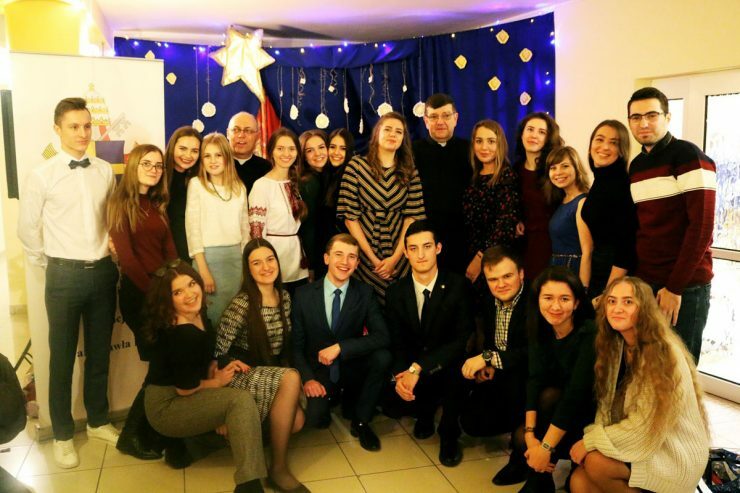 Robert Ptak, Deputy-Director; and, priests from Belarus, Indonesia and Ukraine who are also scholarship recipients. We were honored with the presence of Prof. Agnieszka Lekka-Kowalik, director of the John Paul II Institute at the Catholic University of Lublin and the editor-in-chief of the “Ethos” scholarly journal. 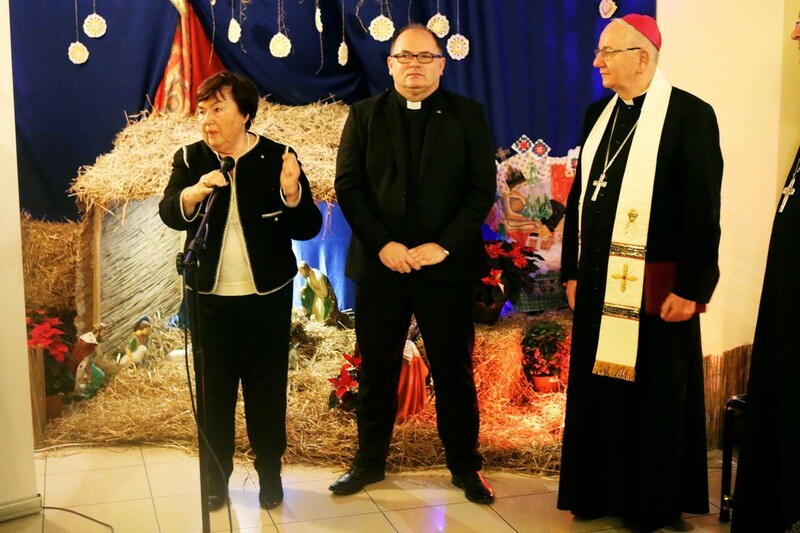 Especially for this Christmas meeting the president of the John Paul II Foundation Chapter in Warsaw, Mrs. Ewa Bednarkiewicz came from Warsaw along with a group of few members of the Chapter. Additionally, s. Maria Piotrowska, director of the KUL’s Women Dormitory and s. Krystyna Marek, Vice-Director participated in the Christmas meeting. At first, Archbishop Stanisław Budzik welcomed all attendees at the beginning of the Eucharist. Then, Bishop Wiesław Lechowicz delivered a beautiful homily. In his homily, at first, he encouraged all to celebrate the time of Advent intensively. Advent will end soon, but intense celebrations of that time will help us to joyfully celebrate the birth of the Son of God, Savior of the World. 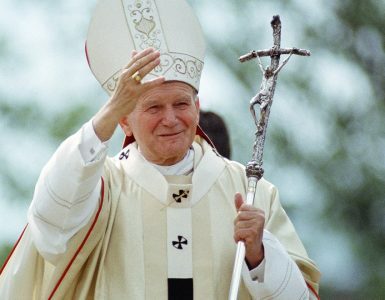 Then, the priest was encouraging us to be living monuments of St. John Paul II and to try, as He did, to achieve holiness. At the end of the Mass spoke the Director, who thanked everyone for participating in the Eucharist and invited us to the second part of the celebrations. The entire Mass enriched beautiful choir singing. The choir exists at the Foundation Home. 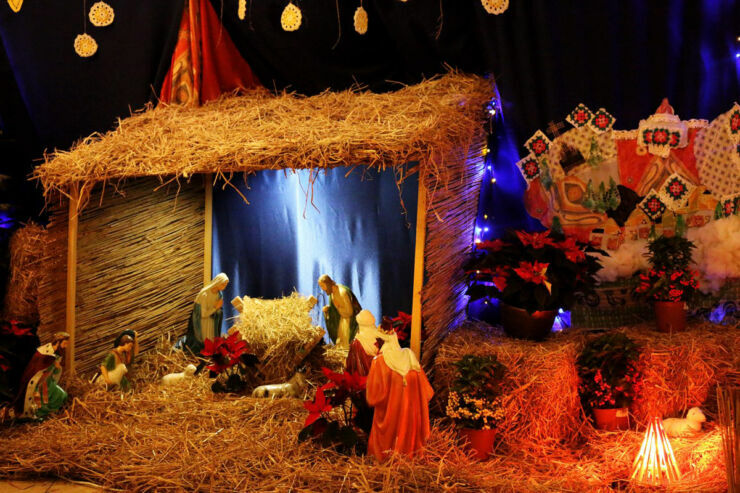 The second part of the meeting took place in the lobby in front of the beautifully decorated by the scholarship recipients Nativity scene. That part started with joint singing of the Christmas carol. Then, we listened to the excerpt from the Gospel according to St. Luke which depicted the birth of Jesus Christ. 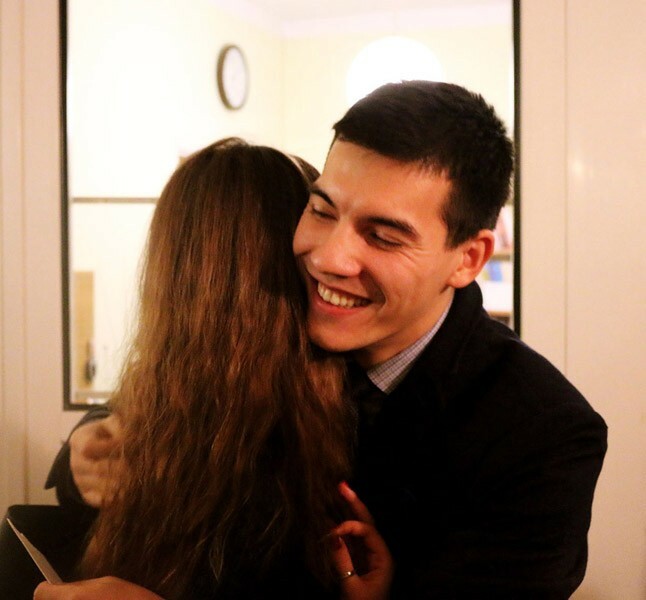 Then, scholarship recipients’ representatives expressed their gratitude to guests for their presence and prayers. Special thank you words were directed by the students to Mrs. Ewa Bednarkiewicz, president of the Chapter, and guests from Warsaw. 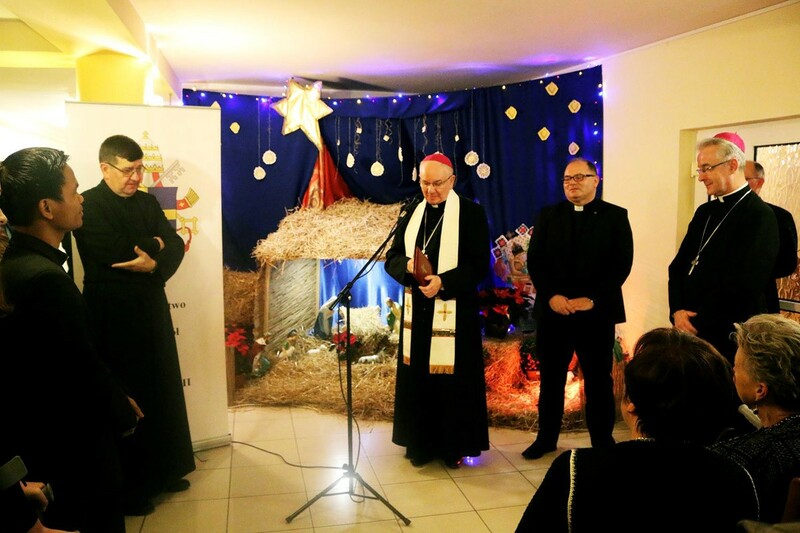 They thanked for wonderful gifts for poor families and for the book “Pope who believed” by Ewa Czaczkowska. 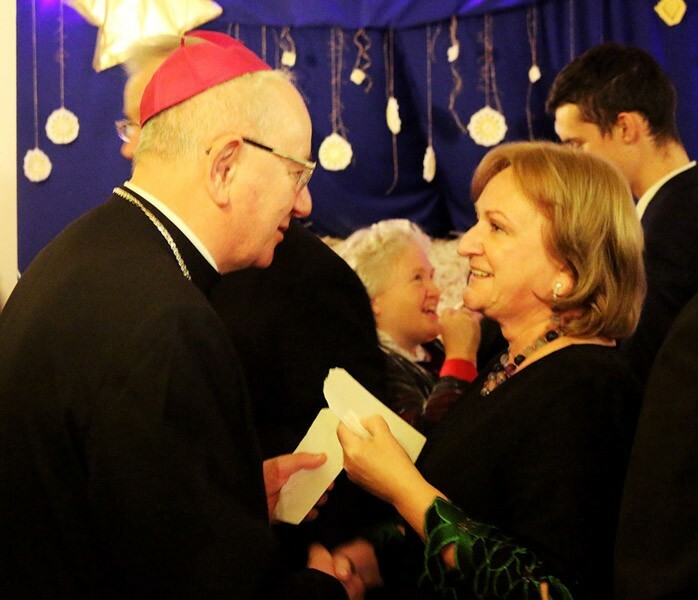 After all speeches, the Archbishop blessed Christmas wafers (“Opłatki”) which we used to break, share and make wishes of blessed Christmas, happiness and deep joy which esteems from the “Word which became flesh” for our salvation. Sweet treats ended this beautiful meeting.